The 13th International Symposium on Equatorial Aeronomy (ISEA13) was held on 12th to 16th March, 2012 in Paracas, Perú. These meetings are held every three to four years. They are major gatherings of scientists from all over the world interested in the low-latitude atmosphere and ionosphere, and how this is coupled to other latitudes and altitudes. Each ISEA meeting represents an opportunity for researchers to share their most recent results and discuss possibilities for future campaigns and experiments. More information about ISEA13, including the program and abstracts are available at http://jro.igp.gob.pe/isea13. ISEA13 was supported by the US National Science Foundation (NSF), the US Air Force Office of Scientific Research (AFOSR) and the Southern Office of Aerospace Research and Development (SOARD), Scientific Committee On Solar-Terrestrial Physics (SCOSTEP) and Climate And Weather of the Sun-Earth System (CAWSES), the International Association of Geomagnetism and Aeronomy (IAGA), the International Union of Radio Science (URSI), the Consejo Nacional De Ciencia Y Tecnología del Perú (CONCYTEC). 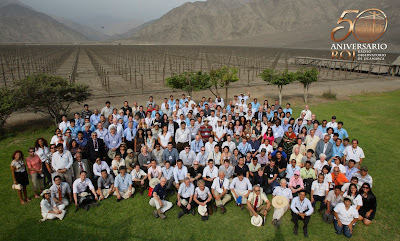 In addition, ISEA received support from private companies in Perú. Most of this was devoted to support the participation of young scientists and researchers from developing countries. The results of the workshop will be published in a special issue in the Journal for Atmospheric and Solar Terrestrial Physics. The deadline for submission of papers is 31st July, 2012. Ethiopia was chosen as the site of the next ISEA meeting to be held in 2015 or 2016. Photo and text were kindly provided by Jorge L. Chau of JRO.